The latest stuff from, well, Stuff Magazine ! The highly respected German Hi-Fi magazine AUDIO TEST have tested and reviewed three of the Next Generation Podspeakers in their April 2017 issue. “The new crossover is excellent. Much better balance in treble and bass. And middle tone with a completely new charisma. The new MiniPods are glowing with coolness, charm and wisdom like a Dalai Lama. With a total positive listening experience it came as no surprise that even the construction is well thought through and made more clever and flexible. It is now possible to access the inside of the speakers for service and repair by unscrewing the bottom plate for easy access. … into the Champions League of Hi-Fi speakers (quote: Audio-Test). “We must say that the new Podspeakers range is really thought through with a wide range of outstanding improvements. Berkshire-based distributor Hi-Fi Cinema has been awarded the UK distribution rights for Danish loudspeaker manufacturer Podspeakers. The distributor will set about re-launching the Podspeakers brand in the UK. Podspeakers original Minipod was first launched in the 1990s, and was designed and developed to reduce the unwanted internal standing waves that create distortion within a loudspeaker enclosure. 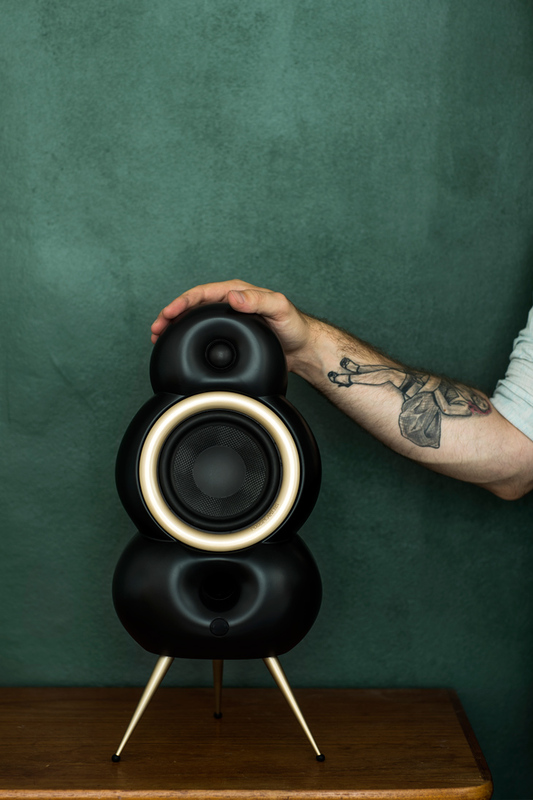 In 2016, Podspeakers was acquired by electronics distributor EET Group, which has developed a new product range, which features improved sound quality with new finishes and accessories, while keeping the “iconic” design.